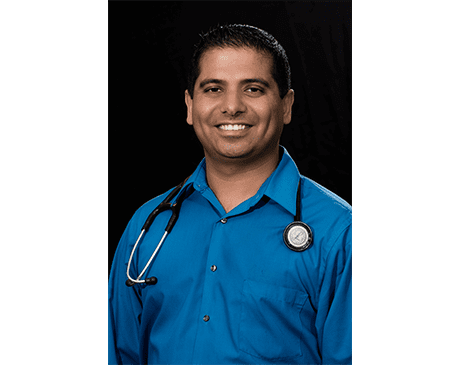 As a board-certified internal medicine physician, Raghav Mohindra, MD, is an expert in preventive care, chronic disease management, and geriatric care. He sees patients at More MD’s clinics in Surprise, Prescott, Prescott Valley, and Lake Havasu, Arizona. Dr. Mohindra completed his medical degree from the Armed Forces Medical College in Pune, India, before relocating to the United States. He went through his internship and residency through the AtlantiCare Regional Medical Center in Atlantic City, New Jersey. To further his training, Dr. Mohindra completed a specialized geriatric fellowship at Baylor College of Medicine in Houston. He is currently board certified in both internal medicine and geriatric medicine through the American Board of Internal Medicine. Throughout his career, Dr. Mohindra has held several prestigious medical leadership positions. He served in clinics that specialize in chest diseases, geriatrics, internal medicine, and cardiology, to name a few. Dr. Mohindra has even spent years actively participating in research involving rheumatology, hyperglycemia, and cardiology. Fluent in English, Punjabi, and Hindi, Dr. Mohindra enjoys conversing with patients from diverse cultural backgrounds. He has special interests in airsports, watersports, photography, basketball, and racquetball. When Dr. Mohindra is away from the clinic, he enjoys staying active in the great outdoors. We require that our patients bring their insurance card to each appointment, as well as their co-pay if required by insurance. Most patients believe this is because we want to be reimbursed for the medical care rendered. Although this is true, it is also very important since your laboratory, x-ray facility, pharmacy, durable medical equipment company, home health care company may be chosen by your insurance company. Your failure to use the appropriate insurance mandated company could result in unexpected costs to you. Thus, if we are unaware of your current insurance carrier, we could inadvertently use the wrong company. We encourage patients to be familiar with the policies of their particular insurance plan, and to obtain the necessary referrals before appointments as needed.